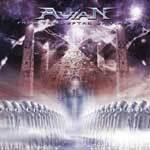 Avian had an immediate buzz about it when it was released because of bassist Dave Ellefson's involvement. However, Avian sound nothing like Dave's former band Megadeth. Rather Avian is melodic, power metal. The band also features vocalist Lance King of Balance of Power/Pyramaze fame. As usual, Lance's vocals are simply oustanding. I am most certainly a fan of his clean, clear vocal melodies. Avian was actually headed up by guitarist Yan Leviathan, who is a very good musician himself. Those already familiar with Lance's work with Balance of Power will be very pleased with Avian as well. Avian a bit heavier than Balance of Power, mixing in a bit of Iron Maiden, but the overall style remains the same. However, there is one thing about this CD that is disappointing. The vocals are mixed down in the vocals, which I had read was done on purpose to make the music more powerful. This is a bit surprising since Lance helped mix it and you would think he would want his vocals coming through with full force, especially since his vocal melodies are the backbone of the music here. However, this is not so bad that the CD is unlistenable. It's just one of those things you wish you could turn up a bit when you are listening. Otherwise, this is a stellar release and yet another stellar effort from Lance King.